Zur deutschen Version dieser Seite. Drag and drop tools, menu items, actions, brush presets, tool presets and scripts. NEW! 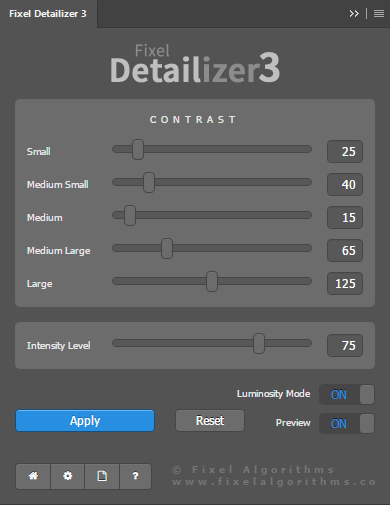 Configurator Reloaded is now also available for InDesign! Read out metadata and insert it as a Text Layer. With one click. Reads out 28 metadata (Exif) infos! The Photoshop-Panel for adding a Watermark with just a few clicks. 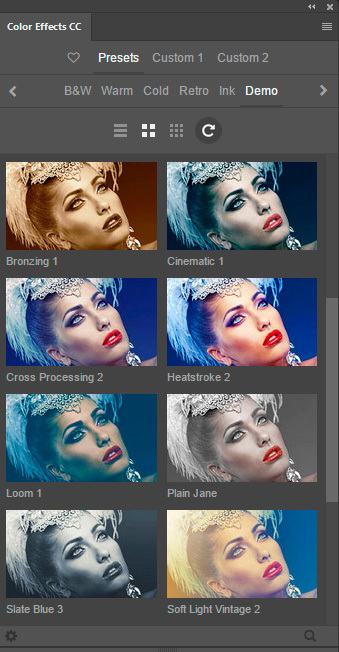 Search, manage and run your Photoshop Actions more efficiently than ever before. An indispensable workflow accelerator for all who work with actions. 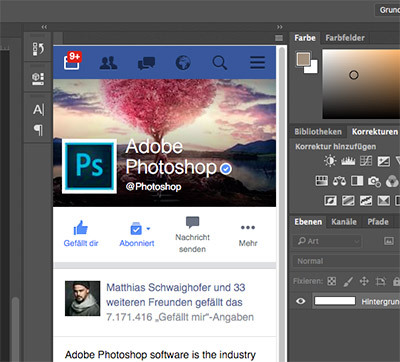 Facebook, Twitter, Google+, Instagram, Flickr und 500px in Photoshop! Works for many other Adobe Apps. Search for free (personal and commercial) photos, vectors and videos. Download and import them with one click directly in your Adobe App. 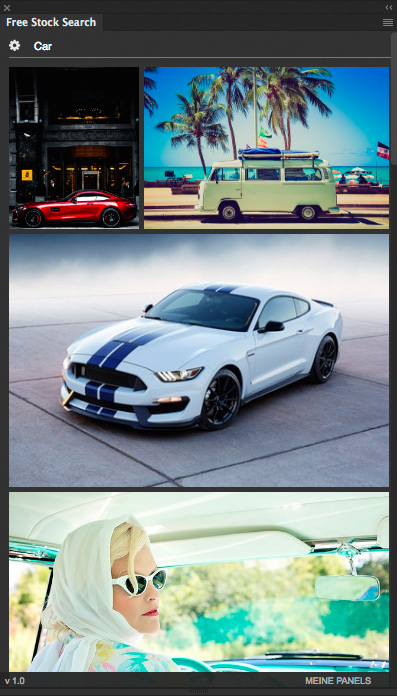 With the free version of Free Stock Search, you can search for photos. It’s available here. 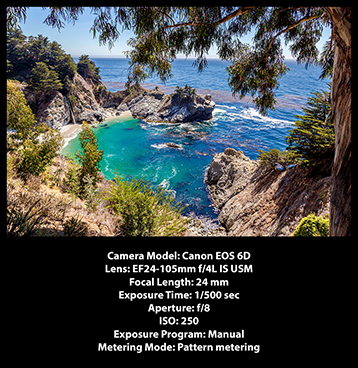 Are your photos losing details if you downsize them? The Sharpen4Web CC Pro-algorithm contains as many details as possible. Over 123 Premium Color Looks. Possibility to integrate own Looks. This panel was developed in cooperation with imageresult.com. For questions please contact imageresult directly. Sharpen your pictures like never before. No halos, no artifacts. This panel was developed in cooperation with Fixel Algorithms. If you have any questions, please contact Fixel Algorithms directly.